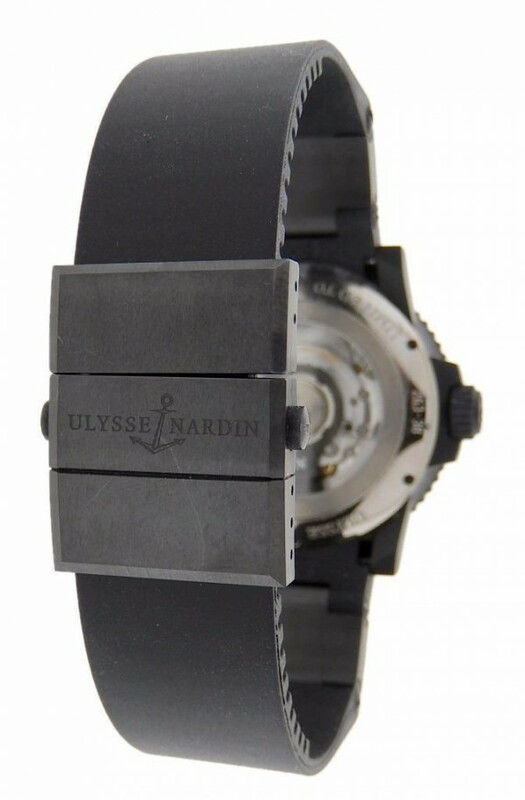 Own this beautiful Ulysse Nardin Marine Diver Limited Edition Black Ocean watch and enjoy its black style with its Rubber strap and stainless steel case with PVD coating. 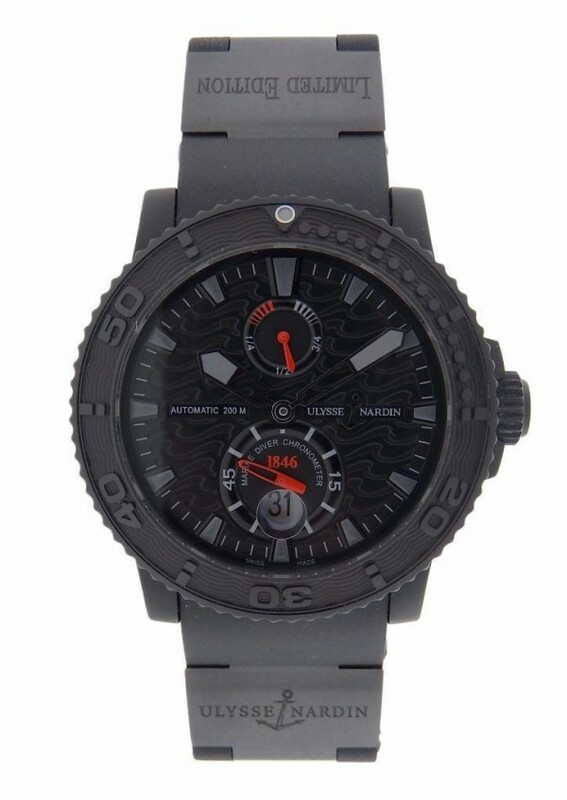 Watch has black Ocean Wave dial with power reserve and sub dial seconds. Watch is pre owned and is in great condition, like new. The strap is uncut. 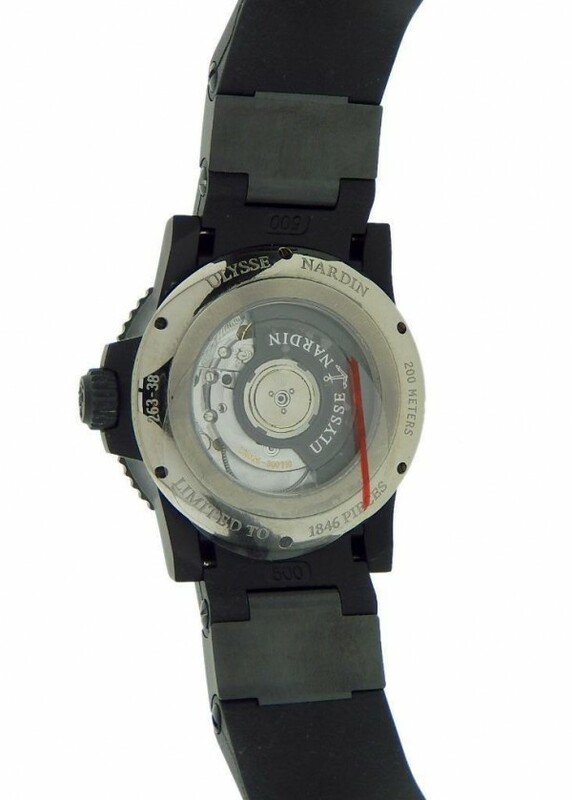 Watch is limited of 1846 pieces. Watch comes with box and papers. Wear it in great health.